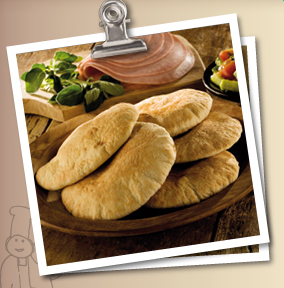 Our pittas are made using the finest ingredients to a traditional Greek recipe. Simply toast on a medium heat and enjoy with your favourite filling. Our pittas are quick and convenient and great for packed lunches or picnics. Naturally low in fat, our pitta is often recommended as part of a calorie controlled diet.